You can get demos for the Skin Fair by joining the Pale Girl Productions Info Group! Maitreya – Lara body, hands, and feet. This fitted mesh hair includes 2 versions (base/streak and duo), plus comes with mirror versions. The bow is hideable and comes with a hud with 8 colors to choose from each for bow, frosting and sugar. Available in several different hair pack choices, shown here are colors from the Pastels hud. 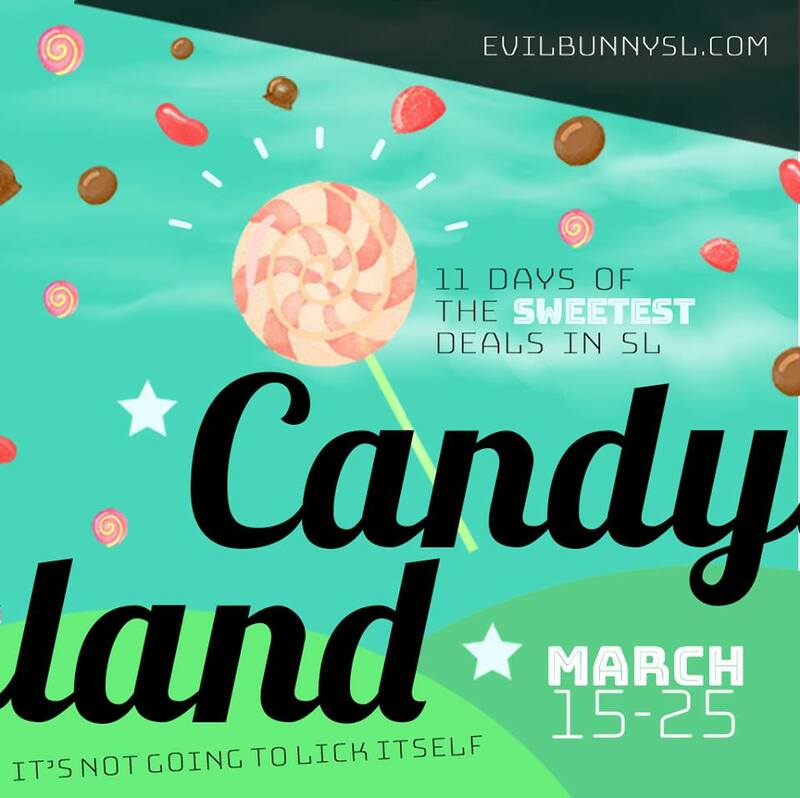 Candy will be 25% off during the event and there are also special $50L minihuds available only during the event. Stop by the booth and pick up another great hair as an Evil Bunny Group member an exclusive for Candyland.